Activision has announced that the online Call of Duty: Elite subscription service will become free upon the launch of Black Ops 2. The gaming behemoth launched the paid membership scheme in 2011 and brought users extra statistics, social features, heat maps following missions and instant access to the latest maps and DLC. 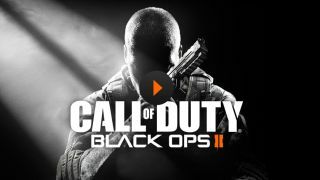 However, when CoD Black Ops 2 arrives on November 13 the Elite services will be free for all users. Activision says the idea behind Elite was always to make the Call of Duty experience more social, and having achieved that the company wants to share the benefits with the entire fraternity. Speaking to the Guardian, Activision CEO Eric Hirshberg said: "For us it simply comes down to the fact that Call of Duty is at its best when our community is united. "This is why we're returning to four map pack drops per year as well as why we're making services such as leveling clans and Elite TV available to a wider Call of Duty community for Black Ops 2, not just to Elite premium subscribers. "From the start, our goal with Elite was to make multiplayer a more social, more connected experience. And we have accomplished that, but for our premium members. "We've come to the conclusion that Elite has more value as a community-wide platform driving engagement and connectivity, rather than as a paid members-only service." Those using the Elite service for Modern Warfare 3 will continue to receive the same benefits until their subscription runs out. From there it is assumed that Elite will become a free service for MW3 gamers too.